What are your kids doing this summer? Are they taking swimming classes? 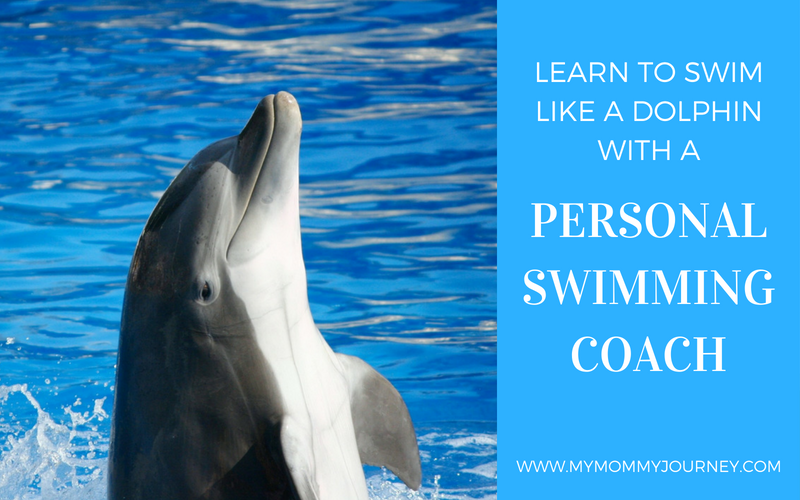 What if they can learn how to swim like a dolphin with a #personal swimming coach? 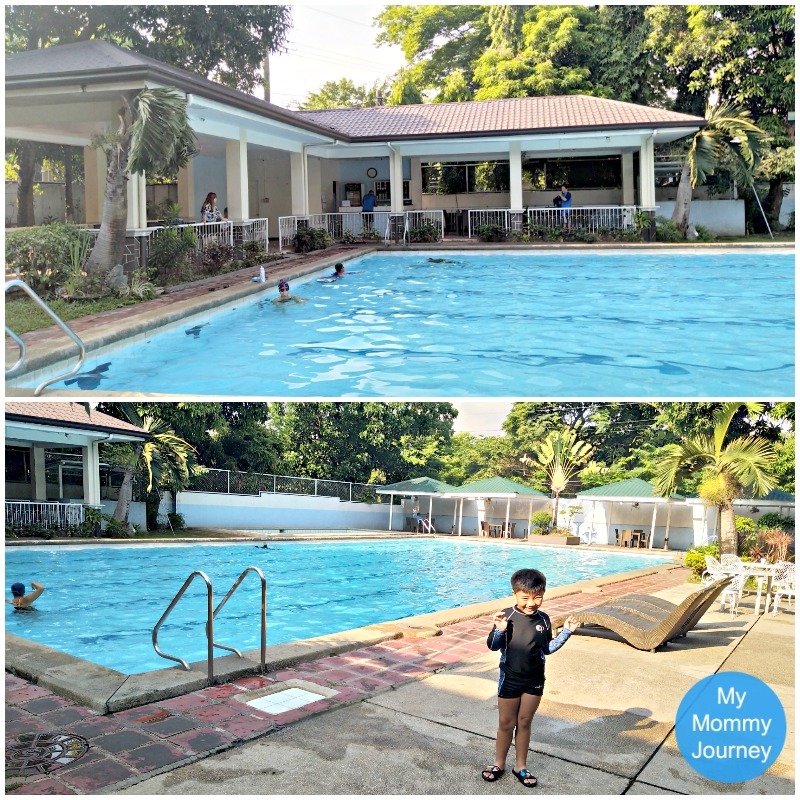 My son, Joshua, first took swimming classes last year when he was 4yrs old at UP (University of the Philippines, Diliman). There were several swim coaches who were assigned to different groups of kids, depending on their level of swimming. Joshua was at the beginner level and there were 7 kids in the class. They had this contraption made of pipes and net to hold the kids in the water just like a swim dock. So while one kid is being taught to swim, the others were waiting at the dock. While there, some would be noisy and playful and it really annoyed Joshua. He was the only kid who would cry at the start of the class. 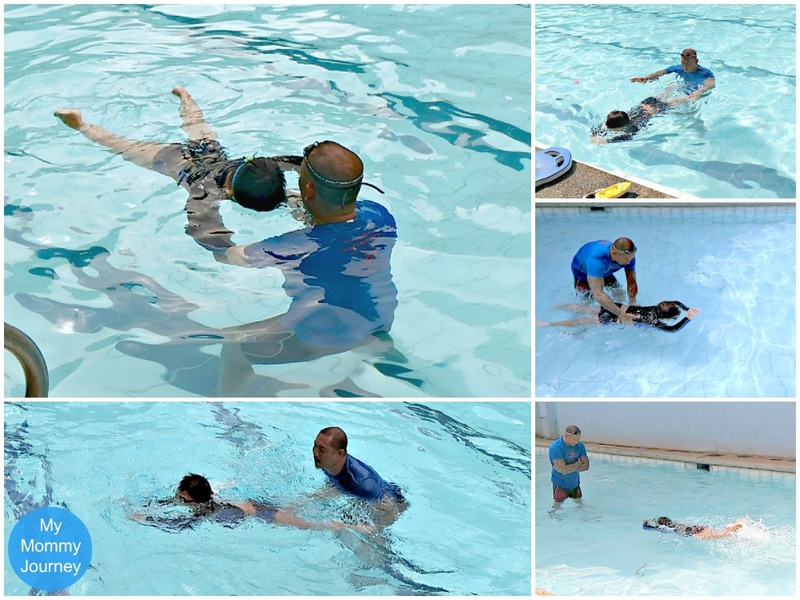 After 10 1-hour sessions, Joshua did learn how to swim but without arm movements or breathing. The coaches did a very good job with all the kids. We knew we had to enroll again next time. Uh-oh, that meant he really didn’t like swimming classes there. So mommy did the next best thing: I found him a personal swimming coach! 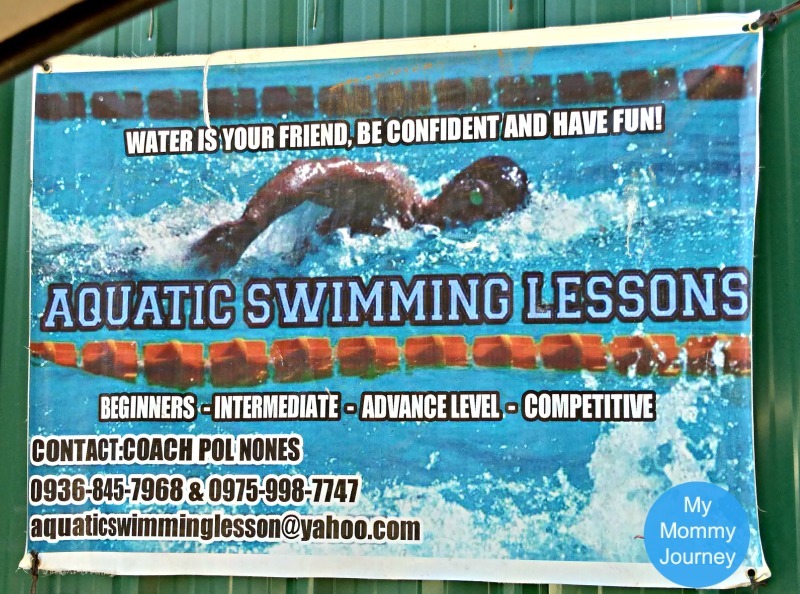 We saw tarpaulin ads around the village for Aquatic Swimming Lessons led by Coach Pol Nones. I contacted him via text and I was surprised to learn that it was a 1-on-1 swimming class. Wow! This was to Joshua’s advantage since he really didn’t like swimming with other kids because he found them too boisterous and chaotic. Plus Coach Pol just finished his last session that very same morning so he was available. Let’s start tomorrow! As to his background, Coach Pol Nones is the founder of Aquatic Swimming Lesson. He has been an instructor for the Milo Swimming Program for 15 years. He was a coach for the Palarong Pambansa swimmers so he has a background in teaching competitive swimming. He is certified by the Philippine Red Cross for basic water safety, life support, CPR, 1st Aid and rescue. 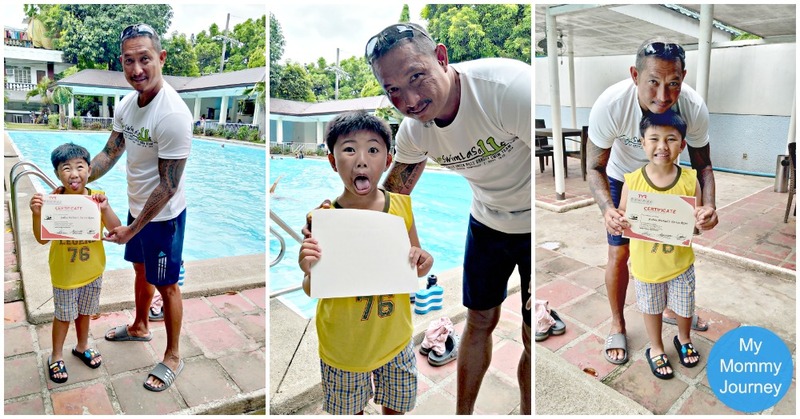 He teaches not only kids and adults but also PWD’s (Person With Disability) how to swim. He is also one of the coaches associated with TYR, an international swimming gear brand. 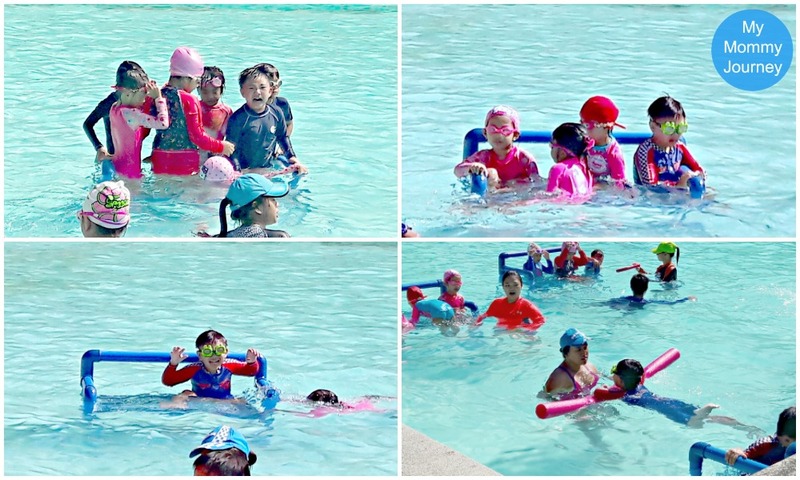 The usual fee for group swimming classes is P3,500 up to P4,000 for 10 1-hour sessions. 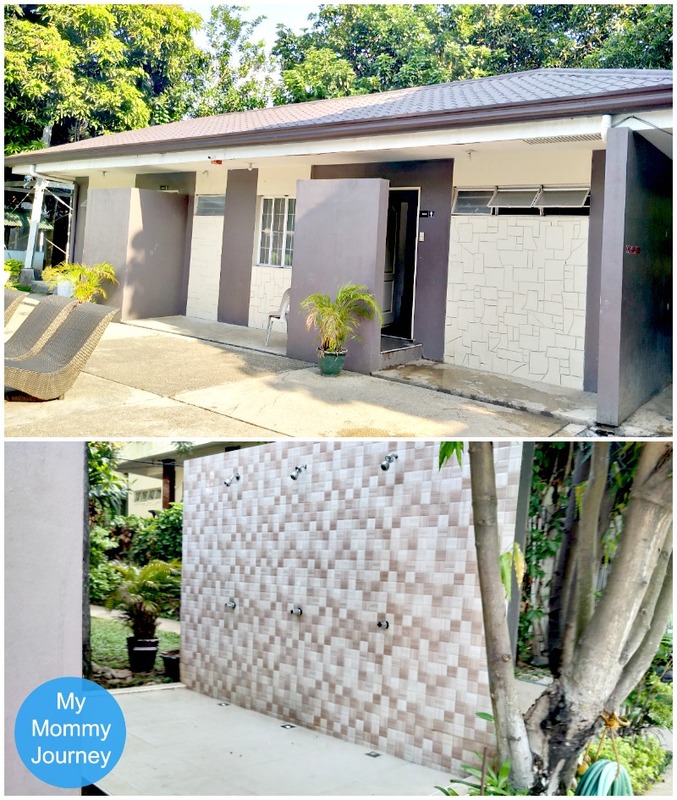 Coach Pol’s fee is P5000 for 5 sessions at 2-hours per session. I was a bit apprehensive about the long sessions because it could tire Joshua out. But he made a good case that 1 hour sessions are just too short to teach a child how to swim. Added to that is the added cost of driving for 10 days instead of just 5 days. Coach Pol also assured me that he will also evaluate him if Joshua can handle a 2-hour session. If not, they will only have 1.5hr sessions. The fee is not bad because you are getting a personal coach who will teach your child 1-on-1. This means the full 2 hours is dedicated to teaching only your child. So 15 years worth of swimming experience will be focused on your child alone. Swimming fee is so worth it! Coach Pol is affiliated with 2 swimming pools: AFPCOC (Officer’s Club) in Camp Aguinaldo and Ultra in Pasig City. They were both far from where we live. I thought the tarp ads around the village meant the swimming pool would be within the village. Well, Coach Pol has another pool option right inside the village. But he says he doesn’t recommend it because it is open to the public and not quite as clean as the other pools he endorses. So we followed his advice and checked it out. It was only a few blocks from our house so it was really convenient to go to. But my oh my, there were a lot of people swimming in it! They were the rowdy type of crowd who jumped and played around noisily. Not a conducive environment for learning how to swim, especially with Joshua who hates noise. And the water was not clear at all, you could hardly see the bottom. Tsk, tsk! Haha! This swimming pool was an epic fail. Next option please! 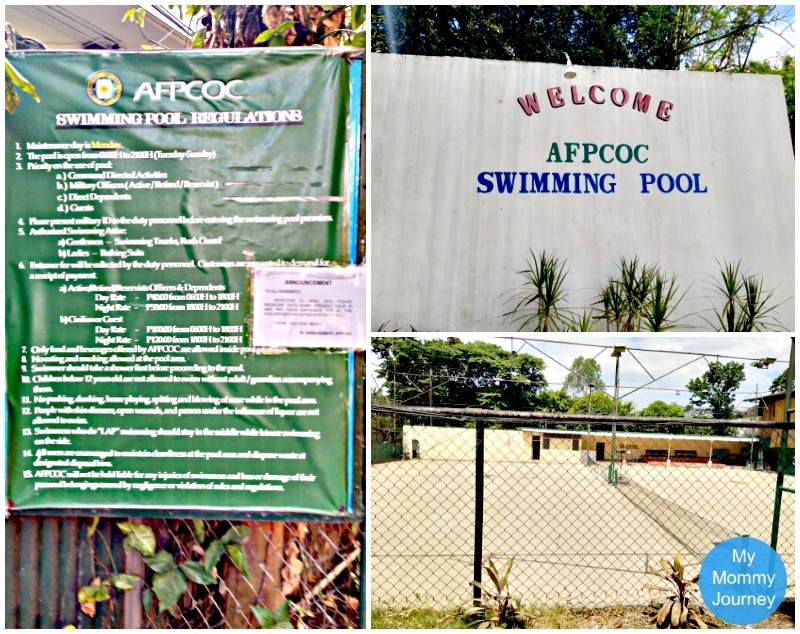 Our next possible pool option is the one at Camp Aguinaldo AFPCOC (Officer’s Club). It’s a lot nearer than the one in Ultra, Pasig City. Plus Coach Pol reassured us that it was only a 20-25min drive from our place via 15th Avenue. On the first day of swim class, Waze made us go via Katipunan Road, not 15th Avenue haha! It wasn’t so bad, it was just a 25 minute drive to Camp Aguinaldo via their side gate in Delos Reyes Street. At the gate, you have to leave your license with the guard. Coach Pol advised us not to ask for any more directions so the guard won’t detain us with more questions. We had Waze anyway. The Officer’s Club pool is located beside the tennis courts and badminton courts behind the actual Officer’s Club. There is a P100 fee for outsiders but Coach Pol already incorporated the pool fee with his coaching fee. The pool is 25 meters long with several lanes for doing laps. The water was very clear, a far cry from the previous pool we saw. Now this pool I’m sure is safe for my child to swim in. 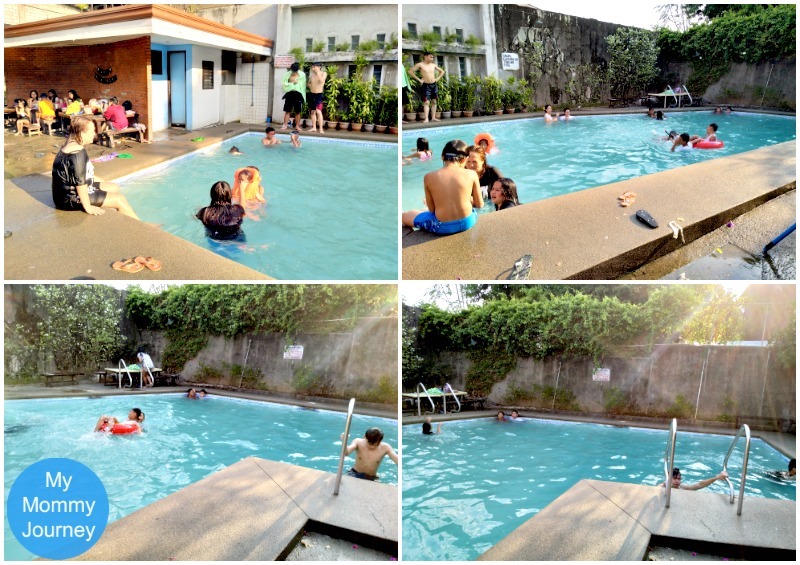 There is also a kiddie pool beside the main pool where most of the kid swimming students played in after class. There is a covered area with tables and chairs and where the admin is located. This is where most of the people stayed at and where you pay the pool fee. We chose to stay at the gazebos at the other end of the pool which is more private. They had nice woven outdoor furniture and even had ceiling fans to ward off the heat, woohoo! There are separate male and female private showers and bathrooms. There are also outdoor showers on either side of the small building for pre-swimming showers. We met Coach Pol by the parking lot. He looks like “The Rock” Dwayne Johnson with the tattoos and muscles. He used to be a basketball athlete so he was really tall. But we found out, he has a very gentle, caring heart for kids. He was really keen on making friends with Joshua even before they got into the pool. His sole focus was on him the whole time, making him feel comfortable. That also made me immediately comfortable with him as well. He even gave Joshua his own Aquatics Swimming Lessons t-shirt as a welcome gift. Cool! Later on in the swimming sessions, we were asked to get Joshua a pair of fins/flippers to let him experience a different type of kicking. Since Coach Pol interviewed me earlier via phone what Joshua’s swimming problems were, he had a good idea how to address them when class started. Coach Pol is not the typical swim instructor who yells instructions and pushes or throws kids in the water to force them to swim. I really appreciated that because it showed that he cared that kids didn’t get traumatized with swimming. He was very patient in teaching Joshua to let go of his fear of the deep water. He would start by playing games to help Joshua relax. He wanted to earn his trust first so that he can teach him how to swim without fear. He even allowed Joshua to bring his toy sharks to be part of the lessons because it helped make swimming more enjoyable. Without him even realizing it, Joshua was already swimming around the pool trying to catch his toy shark. Swimming now was playing, yay! And Coach always ended the swimming lessons with Joshua going over to the kiddie pool to play for a few minutes. Joshua even found new swimming friends at the kiddie pool. Nice! When the 5 2-hour sessions were up, Joshua could already swim a few feet from the gutter wall by himself. He still likes using his pool noodle and kick board more tho so that means he still has some fears. So we decided to extend the private swimming lessons to another round of 5 2-hour sessions. Coach advised this because he didn’t want to quit on Joshua. He knew Joshua could swim if he only let go of all his fears. At first, Joshua wanted a shorter swim period like 1.5 hours so he won’t get so tired. Coach readily agreed to his condition. But during the class, when I went over to ask him at the 1.5 hour mark if he was tired, he said, “Nope.” So back to 2 hour sessions it is! 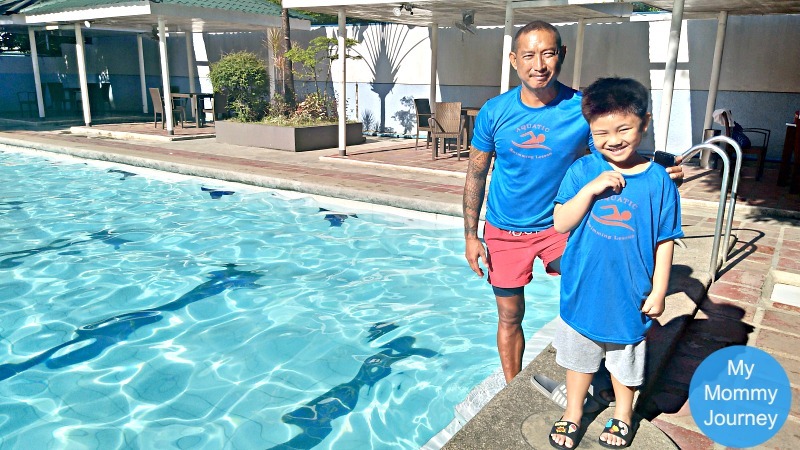 Slowly but surely, Coach Pol was able to put Joshua’s fears of swimming to rest. Personal Swimming Lessons For The Win! Now Joshua can swim by himself with arm movements and breathe when needed to cross the pool. He can now push himself from the gutter wall to swim with much confidence. He can even “dive” (more like throw himself) in the water! And he now knows how to tread water, a survival must-know in deep water. 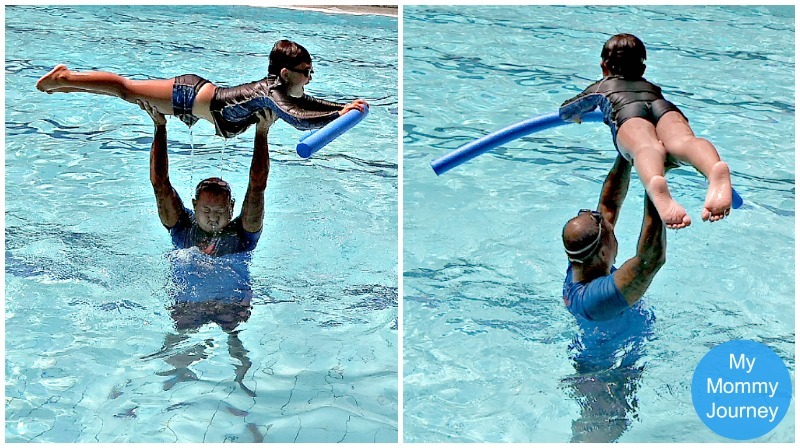 He even likes it when Coach Pol lifts him up in the air and throws him to dive in the water. Wow! He’s mighty strong to carry my son haha! 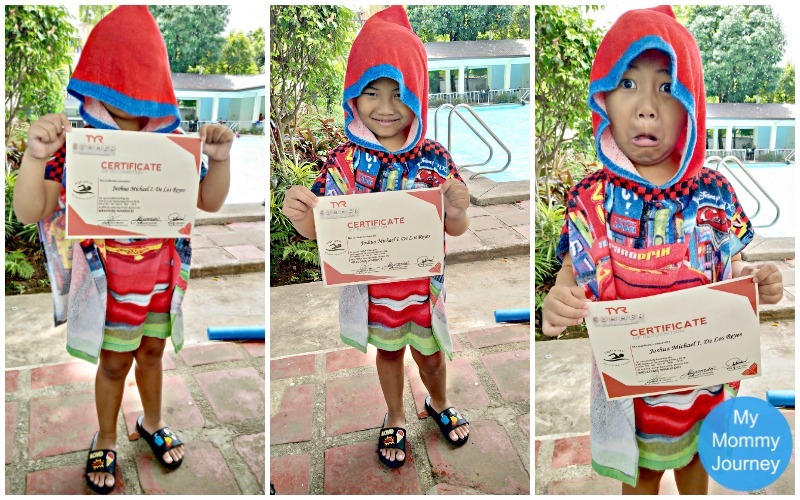 On the last day of his 10th swimming class, Joshua earned a graduation certificate given by TYR. Woohoo! He really earned it! 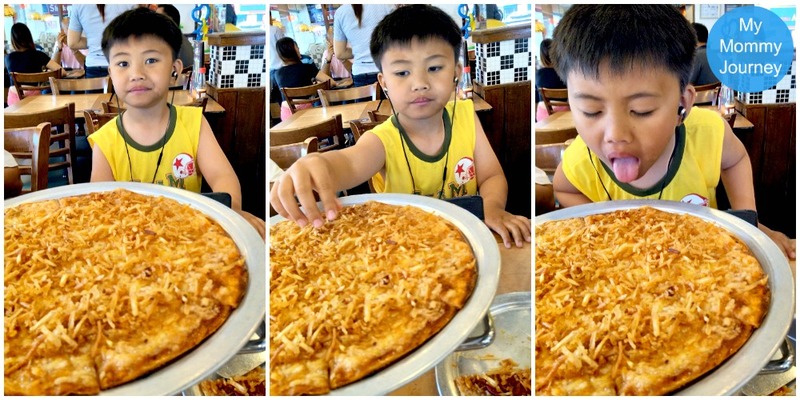 We celebrated his graduation with his favorite Shakey’s pizza for lunch! Too bad Coach Pol couldn’t join us because of a previous appointment. So we did the next best thing: We delivered his very own pizza right at his doorstep haha! (He lives 2 blocks away from us). We wanted to show our appreciation for all his hard work in teaching Joshua how to swim and most of all, to throw away his fears. 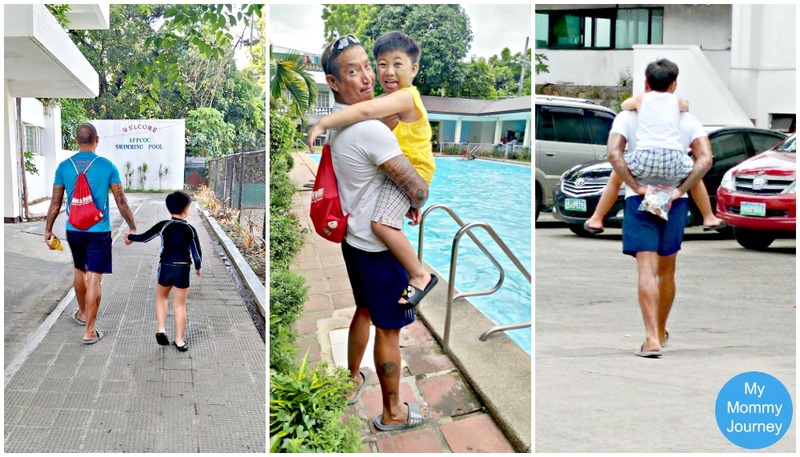 Will we get more swimming lessons with Coach Pol? Absolutely! We plan to get his services again during semestral break and especially during the summer. With the way he handled Joshua, we are pretty sure he will learn the swim strokes next with ease. In fact, Coach wants Joshua to continue his lessons even when school starts, maybe on Saturdays. Rain or shine, he teaches swimming. Now that’s a dedicated personal swimming coach! I can really say that having a personal swimming coach is the best way to teach kids how to swim without fear. Coach Pol really delivered! He really helped Joshua gain confidence in swimming. Joshua now treats him like his best friend! 1. Always check the swimming pool before you even enroll your child. 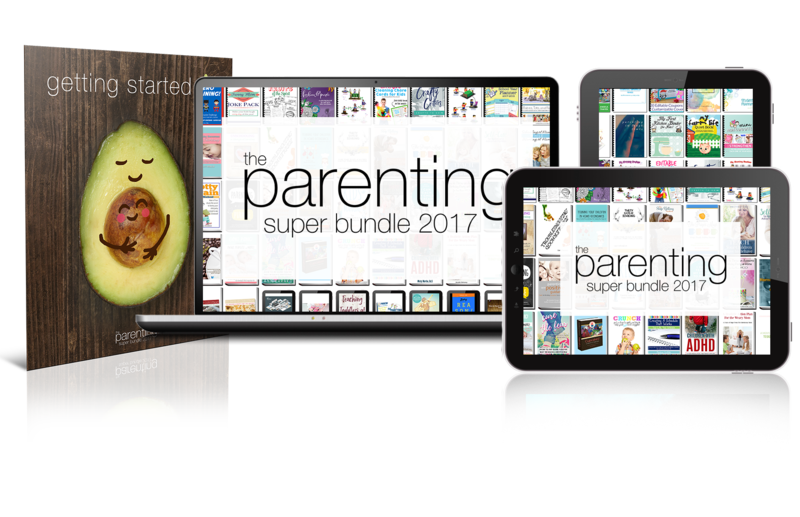 Your child’s safety, health and well-being is at stake because he will be dipped into that pool for hours. He could ingest water and if it is not regularly cleaned, could end up with health concerns like amoebiasis. If it’s a pool that you, yourself, won’t want to swim in, don’t let your child take classes there. 2. When it comes to swimming, evaluate your child’s needs and capabilities. Will he learn better swimming with other kids in the class, taking turns, emulating his classmates; Or will he learn more with a 1-on-1 style of teaching? 3. Know your child’s fears. Is he afraid of the deep part of the pool or of his swim coach? Does he just need constant reassurance that someone will catch him or be there to reach for him in case he sinks? 4. Choose a coach who teaches in the style that suits your child’s personality. 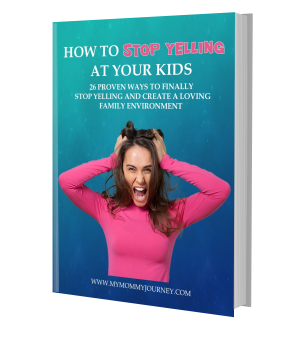 A yelling coach could suit some kids who need an authoritarian to push them to take action, or it could damage their emotional well-being and cause more trauma than good. A soft-spoken coach could suit the more sensitive kids, like my son, who needs more patience to come out of their shell. 5. 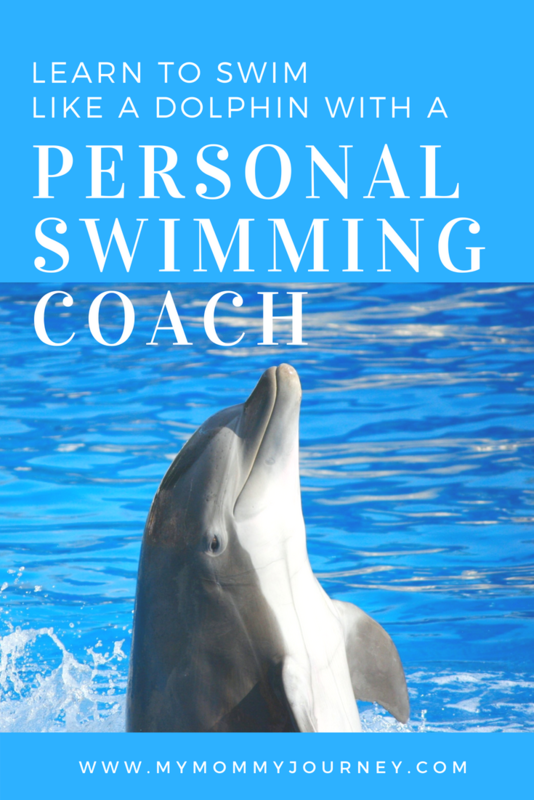 Having a personal swimming coach can be more expensive but also worthwhile. A personal coach will adapt their teaching to suit your child’s needs. He is more focused because he is just teaching 1 child, your child. In short, you get what you pay for.